When I was young, there wasn’t such a thing as a cool pair of winter boots. There certainly wasn’t such a thing as a must have winter jacket. Wait a minute. There was such thing. First it was the “SunIce” ski jacket which was very popular. Then, it became the black team apparel “Starter” jackets with hoods branding such teams as the Chicago Bulls or the LA Raiders; which had their logo on the breast and across the back of the coat. Am I dating myself? Perhaps. But, for the purpose of this Toronto Injury Blog post, dating myself doesn’t matter. Winter apparel has always been an industry in and of itself. I just think that it’s blown up in the past few years. Yesterday, Canada’s biggest name in winter gear, Canada Goose sold a majority stake in their family owned/operated company to US Venture Capitalists, Bain Capital. The same Bain Capital that Mitt Romney ran. Details of how much money the deal was for have yet to be disclosed, but from what I understand, the deal is worth somewhere in the 9 figures. If the people at Bain are willing to invest over $100 million in to a winter apparel company, then that should tell you something about Canada Goose’s product and brand. But, Brian, how on earth does this relate to personal injury law? It’s simple. If Bain is willing to spend so much money on a winter apparel company to make some money, then why aren’t you doing the same for your safety? Let me tell you the story about a woman who slipped and fell on ice in Sudbury. For the purposes of this story, please keep in mind that this woman lives in Sudbury. For those of you not familiar with Sudbury, it’s cold and very snowy. This woman was walking from her apartment building to a corner store to grab a pack of cigarettes. Her apartment is around 60 metres from the store. Not a far walk at all. She’s made the trip hundreds of times, in far worse weather. That day, it was NOT snowing, although, it had snowed in the 24hrs prior to the fall. The sidewalks were partially cleared. That means that they weren’t completely cleared, nor were they completely snowy. The woman left her apartment wearing wolley socks and sandals. The thinking was that she’d wear sandals because she could slip them on and off quickly. The store was very close. She knew the route well. She did not own a pair of winter boots. Her boots from past seasons were thrown away from wear and tear. She hadn’t bought a new pair of winter boots because she wanted to get by all year in running shoes or wearing sandals. The thought of wearing winter boots irritated her because they weren’t “cool“. As she was walking on the sidewalk, she slipped, fell and broke her ankle. Ouch! She couldn’t see the ice underneath some packed snow. She had no grip wearing sandals, nor did she have any sort of ankle support in her sandals either. From a fashion perspective, it’s never a good idea to wear sock and sandals. Even if they’re wolley socks, it’s still not a good idea. But, I’m just a lawyer, and my job isn’t to give fashion tips. I just try to provide sound, legal advice. I’ll leave the fasion tips to Jeannie Becker, or the good people at Over the Rainbow in Toronto. From a legal perspective, just because you slip and fall and sustain a serious injury, does not entitle you to automatic compensation. In the above noted case, it’s clear that the woman is injured. She fractured her ankle. She slipped on an icey sidewalk which had been partially cleared. She was wearing sandals. Firstly, suing a municipality for failure to clear, or properly clear their sidewalks is very difficult. The standard of negligence is much higher against a municipality than it is against a private property owner. The negligence must go beyond simple negligence. It must be shown to be “gross negligence“. The definition of gross negligence is determined by the Courts, and is based on the facts surrounding your individual case. At the end of the day, it will be up to the Judge alone (no jury in a municipal liability case) to determine if the negligence of the City met the definition of gross negligence. They will look at the Minimum Maintenance Standards, work logs/sheets to determine if the City met their basic standards. If they did, then you won’t have a case for negligence against a Municipality/City. Remember: Cities/Municipalities are NOT held to a standard of perfection. The Courts have been very clear in this regard. This woman had not purchased a pair of winter boots because…Well…I don’t know why. But, I can tell you that if cost is an issue, let me assure you that you can purchase a decent pair of safe winter boots from Wal-Mart for $29.99. Goodwill stores across Ontario also carry gently used winter boots for very affordable prices. If I told you that the investment in a pair of winter boots can be the difference between breaking an ankle or not, wouldn’t you put the money down for your safety? I sure as heck would, and have already done so. Think of winter boots as you would helmets. Both will prevent injury. They’re available in many different shapes, styles and sizes. Both are available at high price points or low price points. Both can be ugly, or really stylish. It’s your call. So, if Bain Capital is going to invest a few hundred million dollars in to a winter apparel company, why won’t you invest in a pair of winter boots? Or winter tires for that matter? Or get your vehicle properly serviced around the winter time? Here’s a bit of local London content. It’s with a heavy heart that I see yet another factory closing in London, ON. 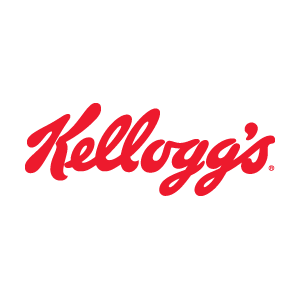 This week, Kellogg’s announced that it would be closing it’s plant in London, which employed around 550 unionized workers. They made around $28-35$/hr and had been working there for years. Dare I say that Kellogg’s was a London institution? Ever drive by the plant and take in that sweet smell of baking corn flakes? If that doesn’t get you hungry, then I don’t know what will. Last month, Heinz announced that it was closing its tomato processing plant in Leamington. That cost the town 740 jobs. A few years ago, we saw Caterpillar leave London with another 350 jobs. I gotta tell you. I’ve been all across Southwestern Ontario. I call London my home. I studied in Windsor. Losing 1,640 good paying manufacturing jobs over 3 years is a bitter pill to swallow and will have economic consequences for the region. That doesn’t take in to consideration the Ford Plant Closure in St. Thomas last year, or the McCormick Beta Brands closure in London in 2008. Needless to say, that’s A LOT of blue collar jobs which will never return. In fairness, Dr. Oetker is opening a pizza processing plant in London soon, but the void to fill is simply too big. What’s the future for London? Good question. All I can tell you is that since I moved to London, all I’ve seen is plant closures in London, St. Thomas and the surrounding area. I have not seen many new jobs come to the community, aside from the Dr. Oetker plant which is soon to open. And the crazier thing, is that with all of the jobs LEAVING, I see a LOT of new home construction. Just north of Sunningdale they’re in the process of building hundreds of new homes. At Adelaide and Fanshawe, and at Highbury and Fanshawe they’re doing the same. My question is that with all of the jobs leaving London, who is going to buy all of the new homes being built? It would NOT surprise me if London’s real estate market took a big dive with the depressing unemployment figures I’ve seen. So…What’s next for London? I wish I had an answer. I sure hope Mayor Joe Fontana knows what to do…if he’s around next year that is.